Best Portable Vaporizers of 2017. Do NOT Buy Without Reading!! Spending hard earned money on a vaporizer, only to have it fall apart, stop working, and end up in the trash a few months later. Over the years I’ve amassed a graveyard of failed vapes. It’s sad, and I don’t want this to happen to you. That’s why I put together this comprehensive guide to the best vaporizers of 2017. To be perfectly honest, there is no magic answer to “what’s the best vaporizer for me?” because it really depends on a bunch of different things. Are you looking for something super discrete? Something that can work with both concentrates and herbs? A good vape for under $200? Under $100? 13 Is vaping as efficient as smoking? 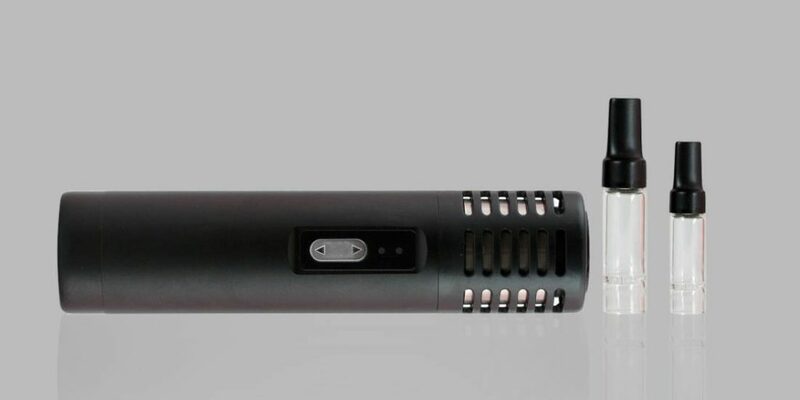 Man, we LOVE the Haze V3 vaporizer. Maybe it’s not as slick as the Pax or Firefly but it does everything just as good – if not better. Highlights include a dual-chamber design that makes it super easy to pack a few bowls and not worry about reloading in the middle of a sesh. It has two heating modes, with one chamber running conduction and the other convection, and it works with dry herbs, oils, waxes, and e-liquids. Seriously, this thing does it all, is built to last, and the price is right. Yea, it weighs a little more than some others, but you just can’t find a better vape at this price. Also worth mentioning is this vaporizer is backed by a superb company that offers great customer service and support. You can tell it’s fancy (and expensive) just by looking at it. It’s basically the Tesla of portable vapes, with a super slick design, high quality materials and a host of very cool features. It vaporizes concentrates and flower with power and precision that’s unmatched. What else would you expect from a vaporizer designed by a former Apple employee? The Firefly 2 is our number one rated portable vaporizer. If you have the means to purchase one, you won’t be sad about the decision. The Pax 3 is the latest version of the slickest, most anticipated vape on the scene. This is the third version, and thankfully Pax has stepped up their game with every revision. The first was meh, the second one was pretty decent, but this one just plain rocks with its incredible power, great looks, and exceptional performance. Best of all? It now works flawlessly with concentrates and waxes. Your search for a reliable all-in-one vape is over. 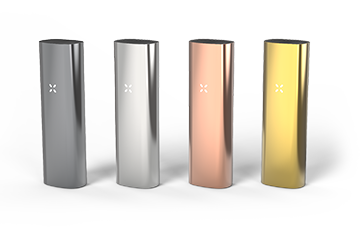 The Pax comes in four different colors. Storz and Bickel basically took over the world with their iconic Volcano. So when they released this pocket sized vaporizer, you can pretty much assume it’s going to be a serious contender. And it is. Personally, this is what I’m going with if I’m parting with my hard earned bucks. It’s a little bulkier than the Pax and Firefly, looks a little more industrial, but man does it work GREAT. The smartphone app is just plain cool, and the indestructible design makes it appealing to those of us who need something sturdy for the trail or slopes. If Pax and Firefly are like the Apple and Samsung of vaporizers, the Arizer Air might be like the Blackberry. An OG in the vape market, and one that still works flawlessly. So what if it doesn’t have any fancy bluetooth controls, or other gimmicky features. The Air is proof that you can compete with the fancy Silicon Valley vapes. No doubt if you’ve spent any time contemplating buying a new vaporizer, you’ve had some sticker shock. The more expensive options can easily hit upward of $400 – not exactly cheap! So the question is, do you really need to spend that much? After all, you could pocket that $200 and buy an ounce of some dank. Luckily some producers have made great, affordable options that might not have all the high tech bells and whistles (bluetooth, iphone apps, games) without compromising the most important piece of the puzzle – producing thick clouds of vapor. Davinci’s newest IQ now sits atop their product throne, and commands a hefty price tag. That’s good, because it means the popular Ascent vaporizer is now even cheaper. Can the Ascent take you to higher ground? You bet! This bad boy looks slick and with the newly anticipated iQ released in a few days you can be sure the price will drop shortly after writing this. The DaVinci Ascent is really well made, and while it might fall just short of the Haze and the Firefly, I’d put it right there with the Pax and above most other portable vapes. The only downside is it doesn’t work well with concentrates or waxes, but if dry herb is your thing, it’s a workhorse. The MFLB has a cult like following thanks in large part to their philosophy. 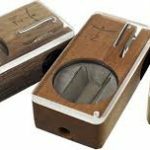 Dubbed the world’s “smallest, fastest, portable vaporizer”, the MFLB shows off a compact, handmade wood design that certainly looks much different than the futuristic Pax or Firefly. While some companies pack their vaporizer with all sorts of fancy technology, the launch box takes the opposite approach, aiming for beautiful, natural simplicity that just works. Don’t have $300+ to blow on a portable vaporizer, but want something that will deliver big clouds, lots of flavor, and reliability to boot? Look no further than the Vapium Summit. Not the prettiest unit of the bunch, but it’s a great choice if you don’t mind its outfit. It might not look as flashy as the rest, but it works just as good. Many cannabis consumers these days are looking for the healthiest ways to consume their herb. The stereotype of the junk-food eating, lazy pot smoker is a thing of the past. These days, you are much more likely to encounter cannabis users who are exercise fanatics and outdoor enthusiasts. These active people want to enjoy their highs without having to worry about the effects on their lungs. For these people, vaporizers are the best option. If you are looking to buy a vaporizer, follow this guide to everything you need to know about selecting the right vaporizer for you. The first major decision that vapers need to decide is whether they want to get a portable vaporizer you can easily take with you on the go, or a desktop model that stays in one place. Some people may think that it is a no-brainer to go with a portable model since they can take it anywhere, but there are some advantages to choosing a desktop model. Here is a look at the pros and cons. Is vaping as efficient as smoking? In short, yes. It’s just as efficient as traditional methods of toking up. In fact, direct flame contact destroys much of the THC and other cannabinoids, while vaping offers a more controlled and precise way to liberate all the good stuff from your precious buds. That said, much of the efficiency depends on the temperature setting, some cannabinoids with higher vaporization points may not vaporizer as easily. 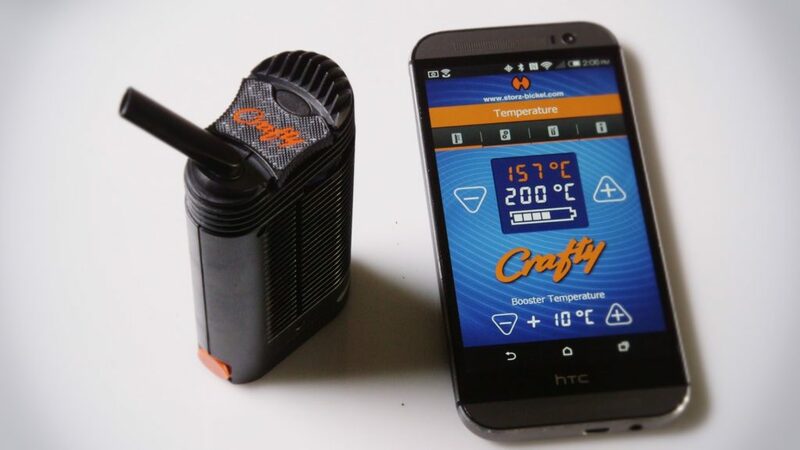 The good thing is most vaporizers have adjustable temperature settings, so you can crank up the heat and evaporate the full range of cannabinoids. This applies to dry herb vaporizers; if you’re talking about oil/concentrate vapes, those things usually heat up way higher and do a fine job of totally vaporizing the wax/oil. You can take it with you anywhere you go. It offers convenience that a desktop model simply can’t match. 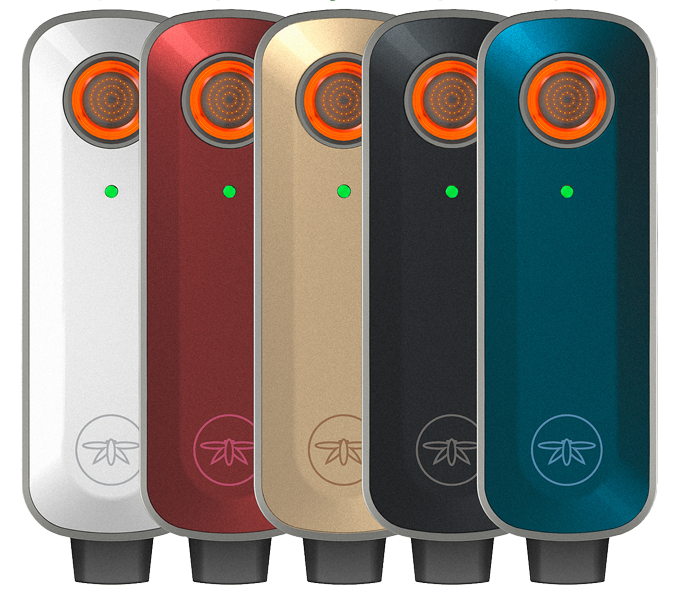 You get to share your vaporizer with your friends wherever you meet them. It is much easier to lose or break a portable model when you are outside the safety of your home. It is also much more likely to get stolen. Portable models usually have smaller chambers than desktop models, meaning you will have to reload them more often. They also have batteries that will need to be charged periodically, which can be inconvenient. There’s nothing worse than packing a new bowl and finding out the battery is dead. With the rise in demand for vaporizers, we’re seeing a lot of fakes flooding the market. As a basic rule, if you see a drastically lower price for a vaporizer, you should question whether or not it’s legit. There’s nothing worse than shelling out you money only go get a low grade piece of junk that breaks, or worse, harms you with cheap combustion technology. And of course, you can forget about trying to return it to the manufacturer. Nothing beats having a nice portable vaporizer tucked away in your pocket or bag, and as cannabis use, whether recreational or medical, becomes more widely accepted across the country we’re finding more people looking for healthier alternatives to thick bong hits and stinky joints. 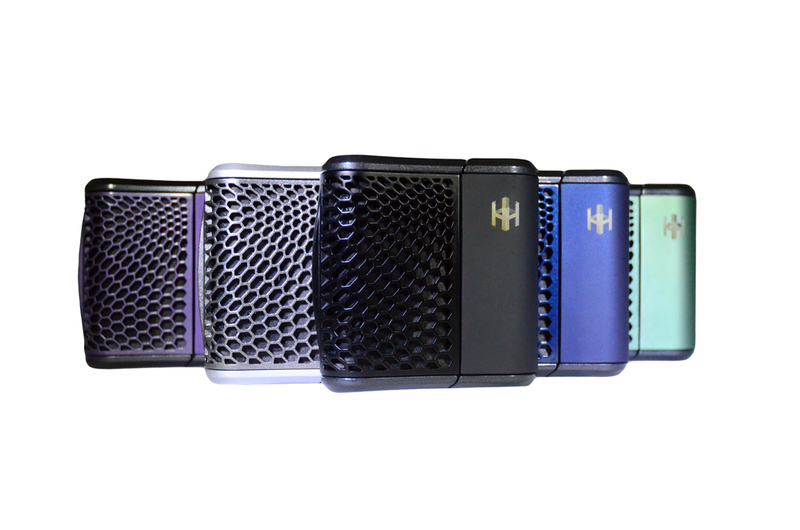 Today we have a ton of portable vaporizers to choose from. They’re small, discrete, and convenient, making it easy to medicate on the go. Whether you’re at a concert, on the slopes, hitting the trail, or just relaxing in the park, having a reliable and easy to use vaporizer that works with dry herbs, wax, or concentrates is a must for anyone who enjoys both recreational and medical cannabis. Like my buddy Kyle used to say, “riding without puffing is like turkey without stuffing”. In general you should avoid buying from eBay and instead opt for reputable online sellers like VapeWorld and Vapor Nation.